As an adult, you already have so much you need to do every day between work and family. The absolute last thing you’d ever want to take time for is fixing a dental issue. You’d rather just have the peace of mind that your teeth are perfectly healthy, right? Well, that’s exactly what our preventive services can do for you! 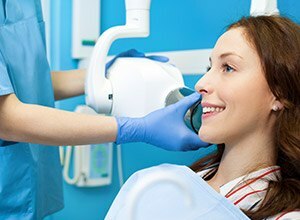 With just two preventive appointments each year, our general dentist at Meriden Dental Group can make sure that the last thing you ever have to worry about is your smile. To learn how we can stop dental issues before they even start, simply read on below. For the best results, an adult should visit our office every six months for a checkup and in-depth dental cleaning from our friendly staff. During this cleaning, we’ll gently and thoroughly remove any tartar buildup from your teeth as well as remove any minor stains that may have formed on the enamel. This creates a smooth, improved surface for your smile that is much less likely to attract plaque and bacteria. We’ll also clean and inspect your gums in order to catch and treat any signs of periodontal (gum) disease. Once we’re finished, you’ll leave with a mouth that feels completely refreshed and revitalized! Each year, more than 40,000 Americans are diagnosed with oral or pharyngeal (throat) cancer. Found early, this otherwise fatal disease is highly treatable and curable. This is why, at your dental checkup, one of our hygienists will conduct an oral cancer screening. They’ll visually examine your gums, tongue, cheeks, throat, and neck for any signs of the disease, and they can advise you on what to do next if they find anything that causes concern. The Meriden Dental Group has seen firsthand the kind of damage that constant teeth grinding and jaw clenching during sleep can cause. This condition, known as bruxism, is often a symptom of stress. In addition to enamel damage, affected patients will usually experience jaw soreness, constant headaches, earaches, and other potentially debilitating consequences. In most cases, we can design a custom-fitted nightguard that eliminates all of these issues. This small oral device will help protect your teeth during sleep from the consequences of bruxism, resulting in both an improved smile and better quality of life. Often, fluoride is thought of as something that’s only beneficial for children, but the truth is that it is excellent for the teeth no matter your age. This is why it is often added to public water sources. If you’re prone to developing tooth decay or cavities, we may suggest that you undergo a fluoride treatment to strengthen your teeth. For this, all you’ll need to do is wear a set of mouth trays that are filled with a highly-concentrated fluoride gel for a few minutes. It’s quick, it’s easy, and it’ll help protect your teeth between appointments. Did you know that nearly 40% of all sports injuries are actually dental injuries? Whether it’s a contact sport or not, there is always a decent chance that an errant collision or flying ball could hit your mouth and quickly turn a fun game into a dental emergency. To help keep your smile safe while you play, our practice can provide you with a custom-made mouthguard. Compared to generic store-bought mouthguards, ours will be much more comfortable because it’ll be made to fit just your particular teeth. This will also make it much better at protecting your smile as well, giving you the best of both worlds! 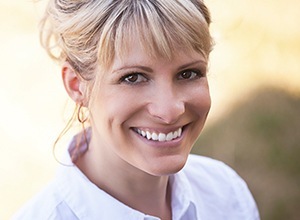 When it comes to your oral health, your gums are just as important as your teeth. They protect the sensitive enamel around the roots, and they also provide them with essential support. Just like with your teeth, plaque and tartar buildup can lead to an infection that causes the tissue to break down, and this is commonly known as periodontal (gum) disease. 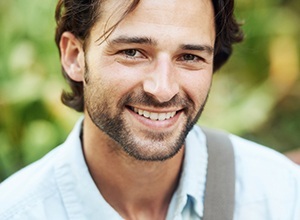 To help prevent and treat this condition, Meriden Dental Group offers a range of treatments called periodontal therapy, which is specifically aimed at preserving the health of your gums. Contact Meriden Dental Group today to schedule an appointment with our team or if you have any questions about our available services. We can’t wait to give you a reason to smile!